As excited as we may be about graphene, there are some things that the wonder material just can’t do. Namely, it isn’t great for making electrical circuits. But a similarly two-dimensional material may have just stepped in as a much more effective component of next-generation electronics. 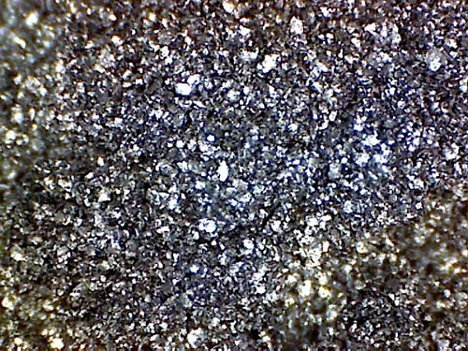 Molybdenum disulfide shares a lot of graphene’s best qualities, but it is also an excellent semiconductor which, unlike graphene, requires no significant alterations to be used in electronics. Molybdenum disulfide is already produced in large quantities as an industrial lubricant. 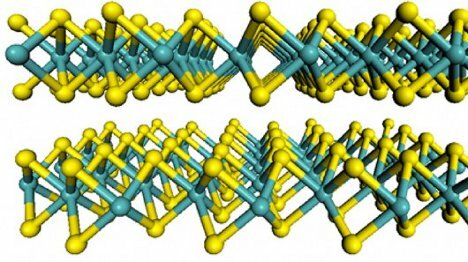 But a 2D version of the substance, just one molecule thick, could enable an entirely new level of electronic devices. Picture cell phone circuitry woven right into the fabric of a shirt, or windows that boast high-performance video displays but also maintain their transparency. The new and fascinating types of electronics made possible by the impossibly thin material are limited only by the imaginations of designers and engineers. See more in New Materials or under Science. September, 2012.